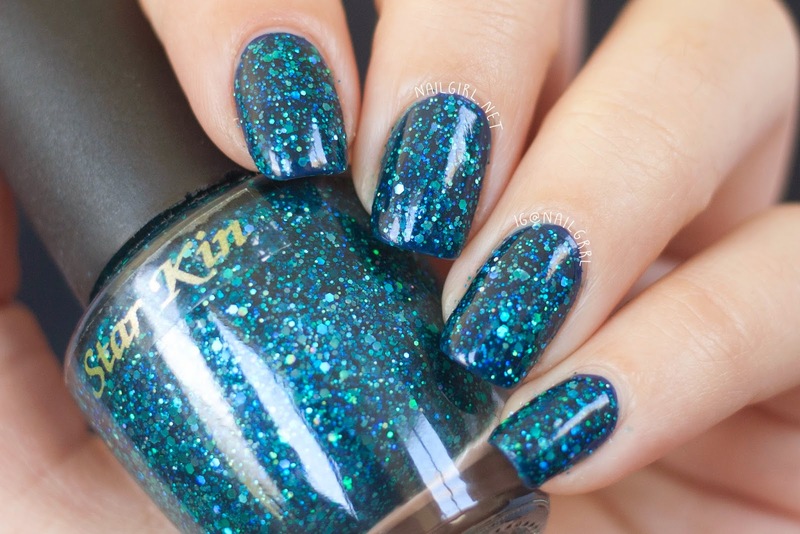 May is NZ Indie polish month, and today to celebrate I have a GORGEOUS glitter from Star Kin to show you. Inspired by the Mariana Trench (the deepest part of our world's ocean!) 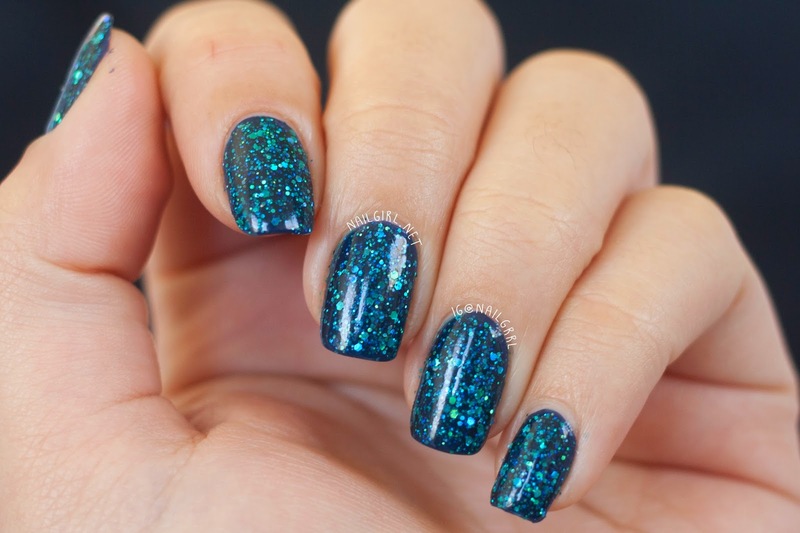 it has a deep blue jelly base with holographic glitters throughout. Here, I've shown two coats over China Glaze Queen B for maximum opacity. It was easy to apply in two coats, and surprisingly wasn't gritty at ALL after just one coat of Rica Glossy Glam - another reason why this is one of my favorite top coats! I loved this so much that I wore it for nearly an entire week and it held up fantastically well. I think a pretty significant factor was my basecoat too - I gave the Sally Hansen 18K Gold Hardener a go for this mani, and it's safe to say that I'm impressed! I just adore the depth that this polish has over a dark base. It really does look like deep sea treasures glittering in dark water. What are your favorite indie polishes/brands? Let me know! Star Kin polishes are currently only available through the Peacock Pie Etsy store. I'm Alexis, a beauty & travel blogger with an affinity for pretty polish and vampy lipstick. © Alexis Adrienne. Design by FCD.